Cryptography requirements will create new challenges for federal agencies and vendors working on FIPS 201-compliant personal identity cards. Whether you’re starting out today, or looking toward future implementation, the National Institutes of Standards and Technology (NIST) staff member Donna Dodson emphasizes that stakeholders need to plan four to five years out. “It will save you a lot of time, a lot of money in the future,” said Ms. Dodson. FIPS 201 defines an identity structure that includes cryptographic keys. 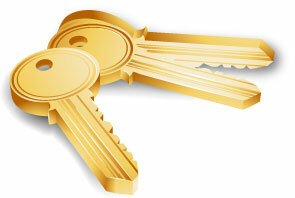 One key – the PIV Authentication Key – is a mandatory credential element. It can be used, along with its corresponding PKI certificate, to authenticate the owner of the card. Other keys may be used for generating digital signatures and supporting encryption. Agencies should keep an active calendar filled with various expiration dates for a number of the public key algorithms and key sizes, she suggests. Is what you’re building today backward compatible with what you’re doing tomorrow? How strong will your cryptographic algorithm need to be? Can your card authentication key be symmetric or asymmetric? Ms. Dodson and two other key authors W. Timothy Polk and William E. Burr answer these and other questions in NIST Special Publication 800-78. The April 2005 document, “Cyrptographic Algorithms and Key Sizes for Personal Identity Verification,” goes into these and other details for Federal agencies and other implementers of PIV systems. The cryptographic requirements for management and information stored on the PIV Card. NIST SP 800-78 provides additional tables that include algorithms, key sizes and time periods for use. One warning: readers are assumed to have a working knowledge of cryptography and PKI technology. Still, the document is a crucial component of the PIV process and is a must read for implementers. To access SP 800-78 on the web, click here.